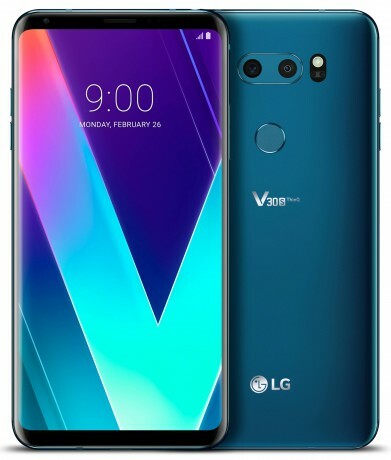 LG today updated its V30 smartphone with several new features and is now calling it the V30S ThinQ. The majority of specs of the phone are unchanged. The V30S ThinQ includes 6 GB of RAM and 128 GB of storage, while the V30S+ ThinQ includes 6 GB of RAM and 256 GB of storage. The new handsets ship with Android 8 Oreo, and they are now available in new Moroccan Blue and Platinum Gray colors. Along with Oreo, LG has updated the software to include a handful of new tools under the auspices of its ThinQ artificial intelligence platform. First up is Voice AI, which LG says are custom commands for Google Assistant made available only to the V30S ThinQ. These allow users to run apps and change settings through voice commands alone. For example, V30S ThinQ owners can tell their device to take a panorama, time-lapse, or slow-motion photo, perform an image search, or scan a QR code, among other actions. These new commands join 23 existing commands already available to the original V30. Next, LG is taking aim at the camera with Vision AI, or the ability to recognize objects and adjust shooting parameters to capture better photos. Some of the initial scenes the V30S ThinQ will be able to recognize include portraits, food, pets, landscapes, cityscapes, flowers, sunrises, and sunsets. The camera will automatically analyze the surrounding scene to adjust focus, white balance, and shutter speed based on what it sees. LG says it has scanned some 100 million images to create a database of known objects to compare against. Last, the V30S ThinQ gains a new low-light shooting mode called Bright Mode that should deliver far more accurate results when shooting in the dark. LG says Bright Mode relies on its AI-based algorithms to brighten images by a factor of two for better looking photos without the noise. LG didn't say when the updated V30S ThinQ would go on sale, nor which markets it will be sold in.